Miele Premium Partners are Showrooms that have been carefully selected by Miele to best represent their brand and products. Miele Premium Partners are well established, trusted and experienced retailers who have demonstrated their ability to consistently meet & exceed customers requirements. Miele's Different design lines in selected colours and materials can be perfectly integrated into any interior design and meet any functional requirements, enabling you to equip small kitchens as well as large kitchens, dining rooms and open-plan living spaces. Depending on your plans for the space available, product combination and layout is entirely your choice. With these options, you offer your customers not only perfectly designed rooms but also an extraordinary experience..
Miele has reinvented the way we cook with its newly launched and revolutionary Dialog oven. A world-first in cooking – it is faster and more versatile than any other cooking product, and it guarantees excellent results. How can the Miele app help? 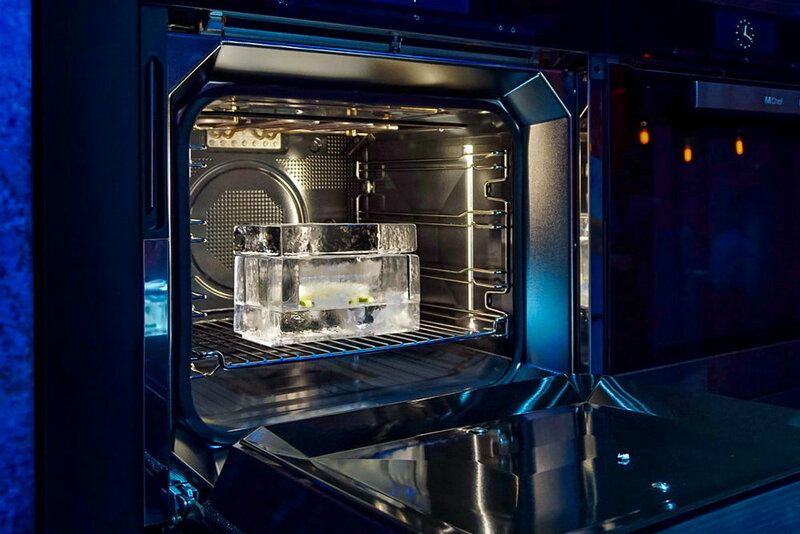 Taking cooking into a new era, the Dialog oven’s connectivity promises inspiration and additional cooking pleasure. The recipe feature included in the Miele@mobile app represents an ideal starting point for experimenting and trying out new ideas – offering users numerous automatic programmes developed specifically for this new oven. Alongside food preparation videos and shopping lists, the app also allows the parameters of a recipe to be transferred directly to the machine. How much faster is a Dialog oven? A marble cake requires 37 minutes in a Dialog oven compared with 55 minutes in a conventional oven. Potatoes au gratin are done to perfection in 35 minutes as opposed to 60 minutes. Pulled pork, everyone’s favourite, needs only 2 hours and 20 minutes instead of 8 to 16 hours.